Queen's University Belfast would like to invite you, our alumni, to take part in a short online survey about university reputation. This is a project managed by The World 100 Reputation Network a group of leading global universities, to which Queen’s belongs. Those completing the survey will be eligible to opt into a prize draw for one of 2 x £100 Amazon vouchers or 16 x £50 vouchers! All those completing the survey will be eligible to enter into a prize draw to win one of two x £100 gift vouchers or 16 x £50 gift vouchers. The feedback you provide – on the reputation of the University, the value of your degree, and the likelihood of you recommending Queen’s as a place to study – will be extremely valuable to Queen’s, so we would be very grateful if you could take the time to complete this survey. In 2017, Queen’s was part of a UK Pilot Group taking part in the survey, which also comprised the University of Glasgow, King’s College London, the University of Liverpool and Queen Mary University of London. On that occasion, over 2,000 Queen’s graduates submitted returns – the second highest number from the ten participating institutions! The World 100 Tracker is a unique university benchmarking tool, providing a 360° view of reputation by national and international audiences. It measures brand impact across world-class universities within the global higher education market. The Tracker provides a comprehensive management information tool to steer university communications, recruitment, campaigns, and senior management strategy. The World 100 Reputation Network is managed by The Knowledge Partnership, specialist education consultants, who ensure all responses are anonymous and confidential, in accordance with the UK’s Market Research Society Code of Conduct. All results will be treated as confidential and never linked to you personally. 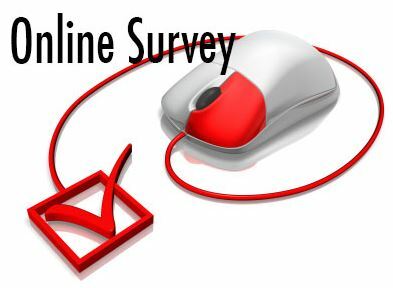 The prize draw is optional and any contact details collected will not be associated with your survey responses or shared with any third parties. Thank you for sharing your views and good luck in the draw! And remember, those completing the survey can enter a prize draw to win one of two £100 gift vouchers or one of sixteen £50 gift vouchers. General enquiries to Dr Kathryn Boyd, Market Insight Manager, Queen’s University Belfast; tel: +44 (0)28 9097 2680.